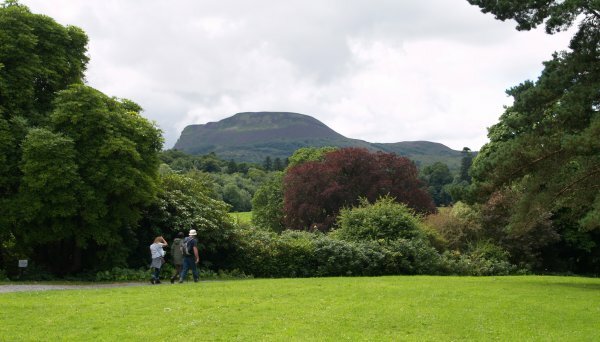 The intrepid walkers approach the 'main house'. 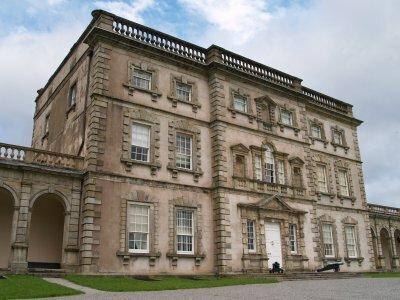 This magnificent 18th century building was once the home of the Earls of Enniskillen. 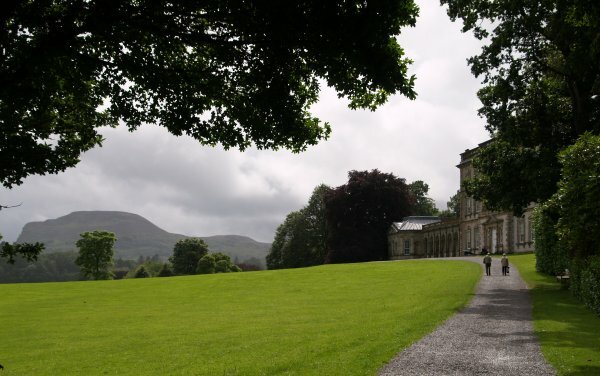 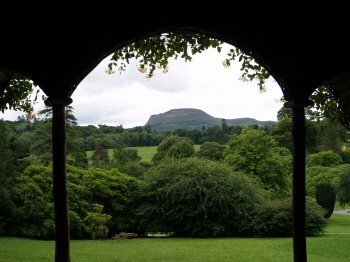 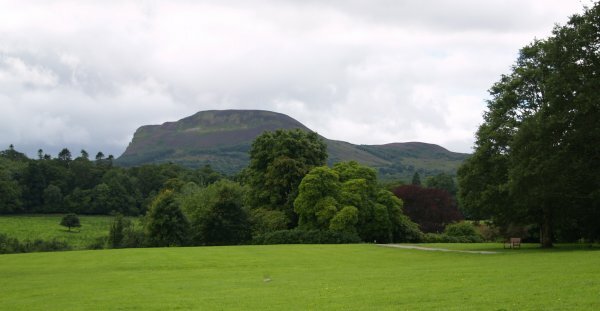 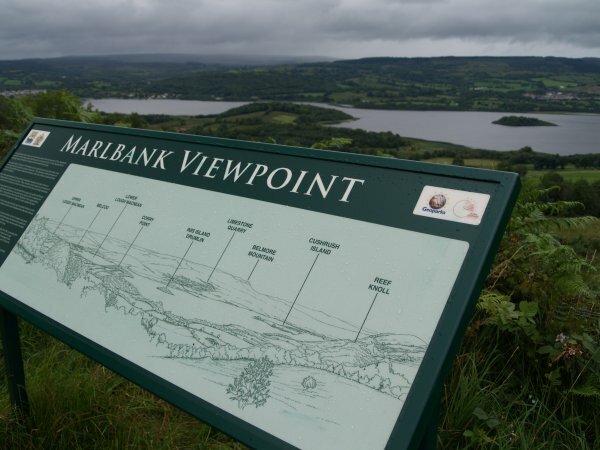 Much of the parkland around the house looks out to Benaughlin and the Cuilcagh Mountains and the grounds are a pleasure to stroll around in. Lovely views all round as you stroll through the estate lands and gardens. 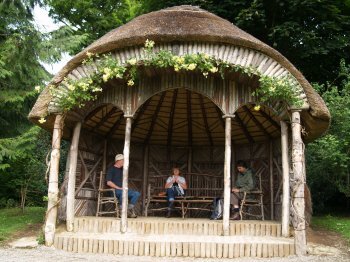 The re-constructed 'summer house' and view from it. 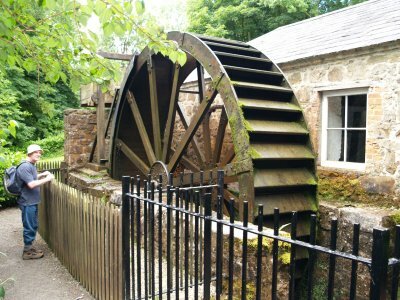 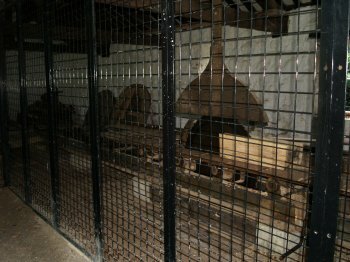 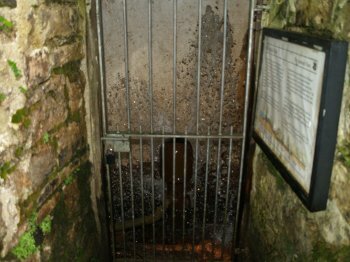 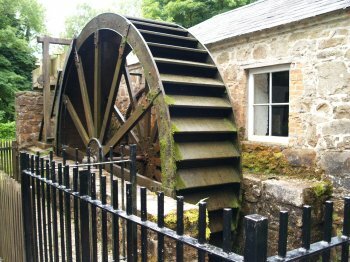 The water wheel was used to power the sawmill. 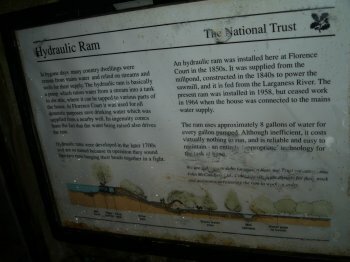 The hydraulic ram water pump system. No expense spared to cross a humble stream! 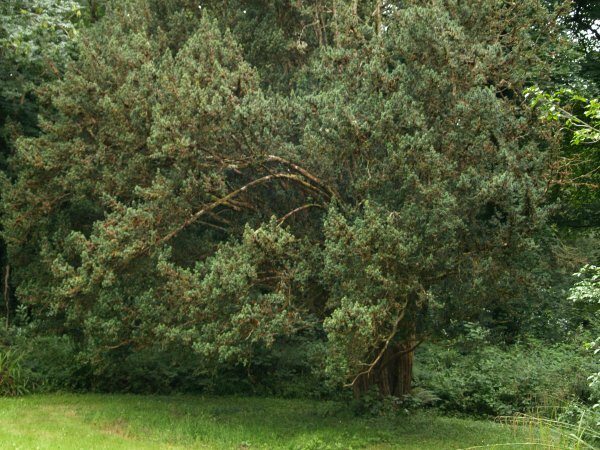 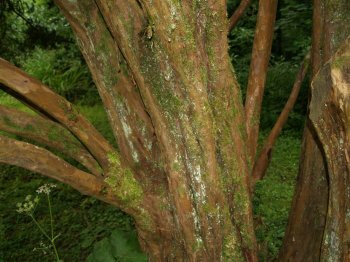 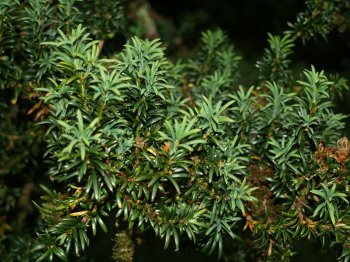 The original 'Irish Yew' or 'Florence Court Yew' tree from which all Irish yew trees are descended. 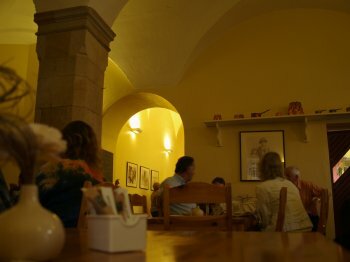 A very nice cafe with wonderful cakes and puddings! 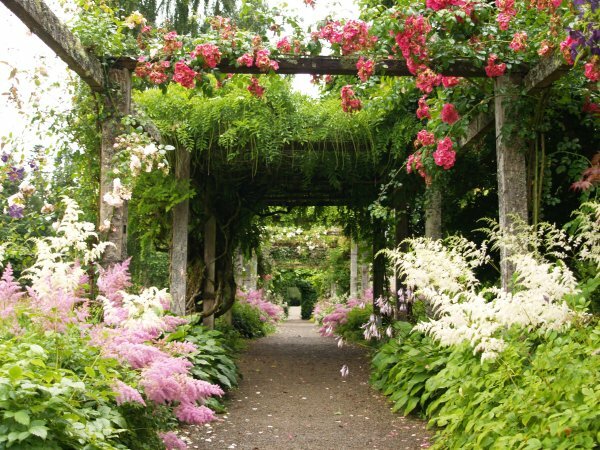 The old head gardeners house. 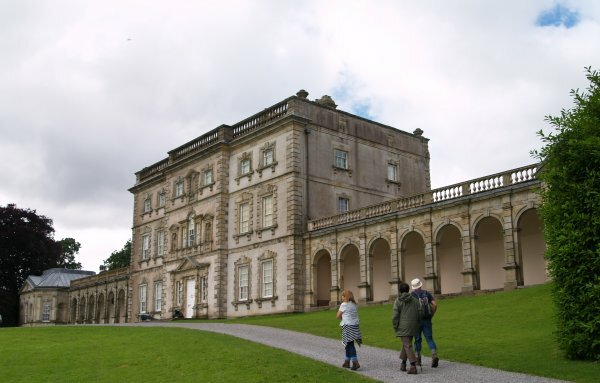 The symmetrical geometrical front view! 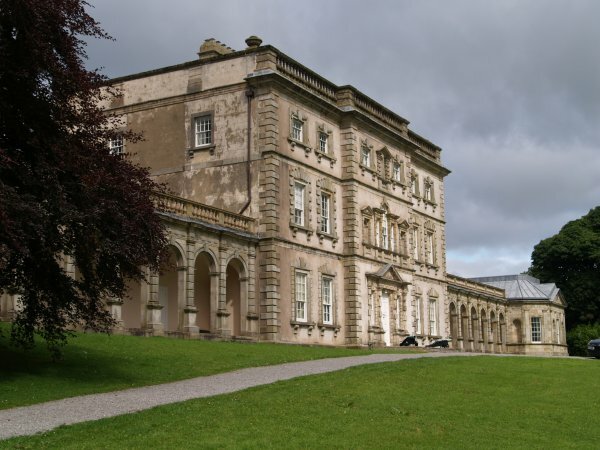 Florence Court, Co. Fermanagh, Northern Ireland (NI): Florence Court, a magnificent 18th century building was once the home of the Earls of Enniskillen in Co. Fermanagh. 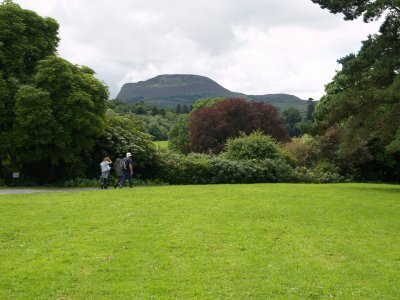 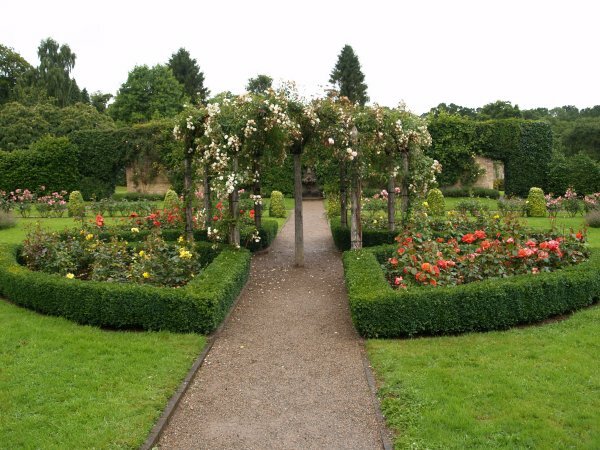 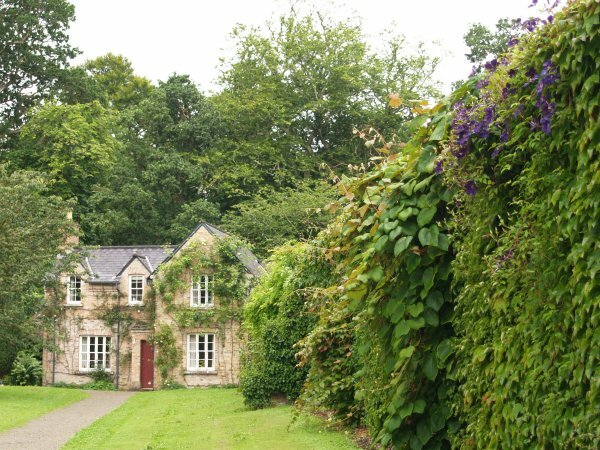 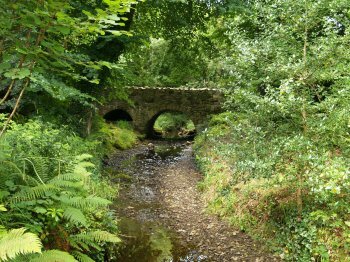 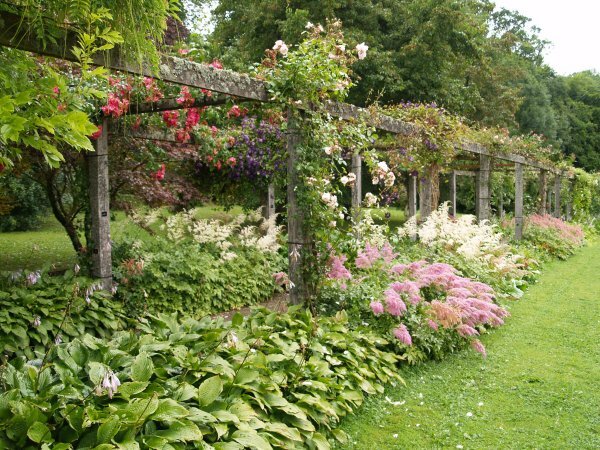 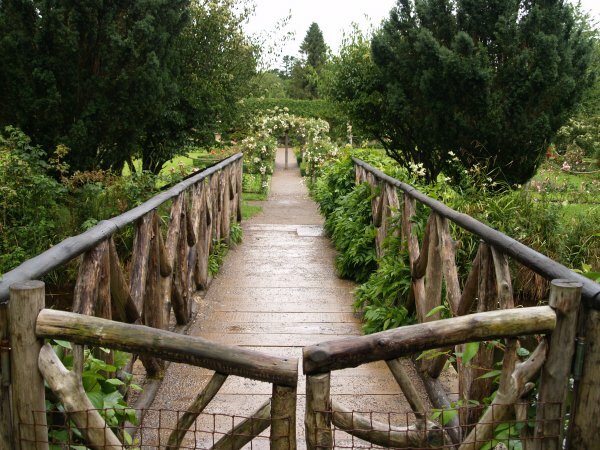 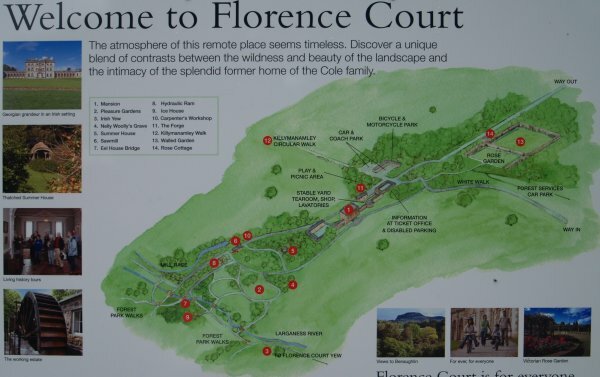 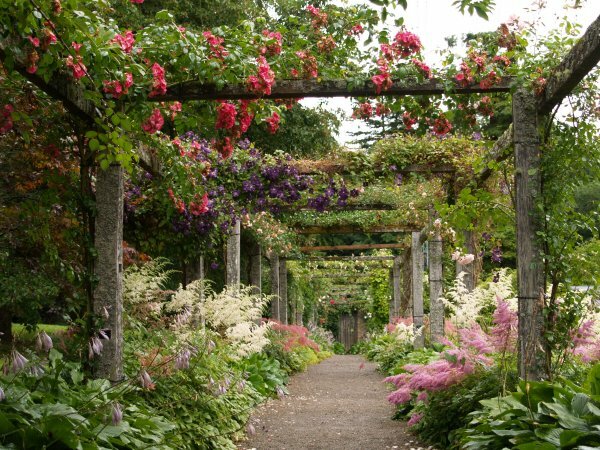 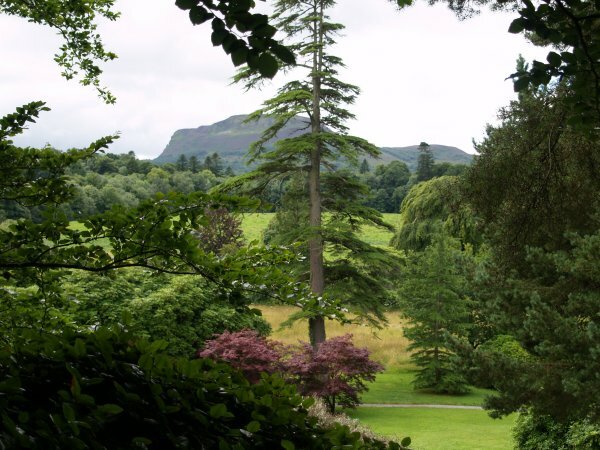 There are lovely grounds to walk around with many features of interest including, walled gardens, mountain views, a water wheel and the original Irish yew tree. 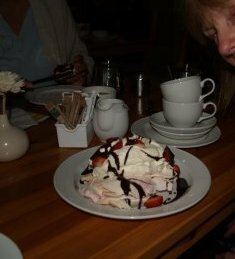 There is an excellent cafe with the most delicious of cakes! 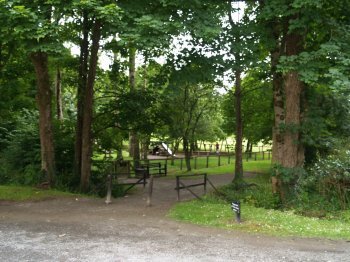 and with a children's playground its a good day out for the family! 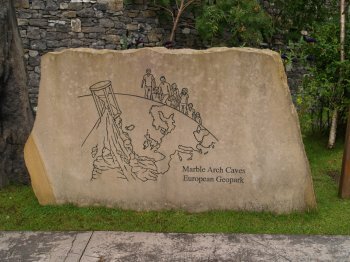 The Marble Arch Caves - A European GeoPark - and an interesting cafe location! 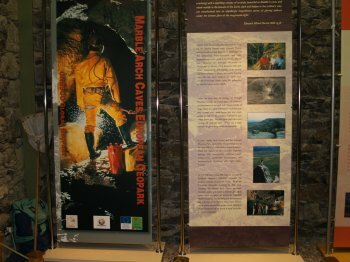 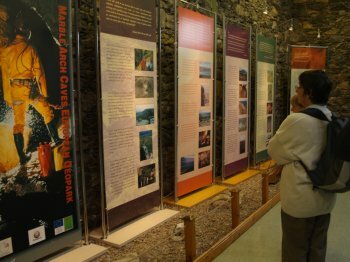 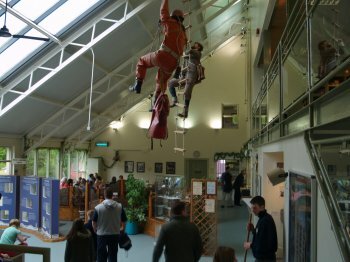 Below sums up the formation of the limestone caves below the cafe and information centre! 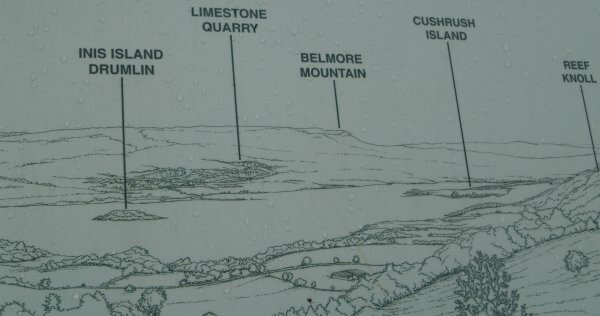 This is a good spot to park the car for a picnic and take in some of the geology of the area.